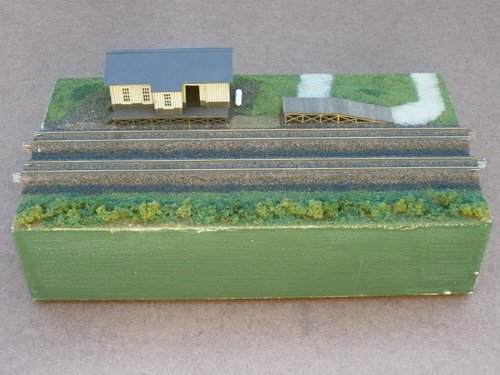 Description: 168mm deep station scene. It features a small combination station and a loading ramp. This is part of the Davis set. The small size of these moudles has encouraged me to get a little brave with the structures. 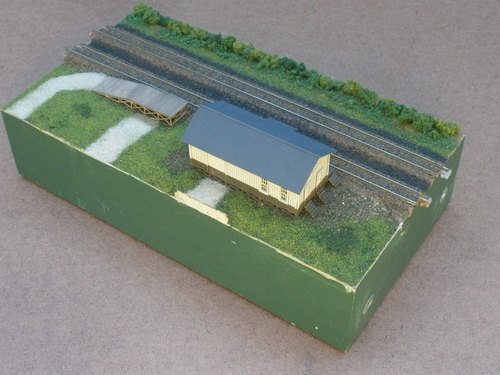 Bothe the station and the ramp are laser-cut wood kits.